What is the difference between a pressure cooker and pressure canner, and is a pressure cooker what to use for home canning? You can use either a pressure cooker or pressure canner for pressure cooking, but one has an additional function. 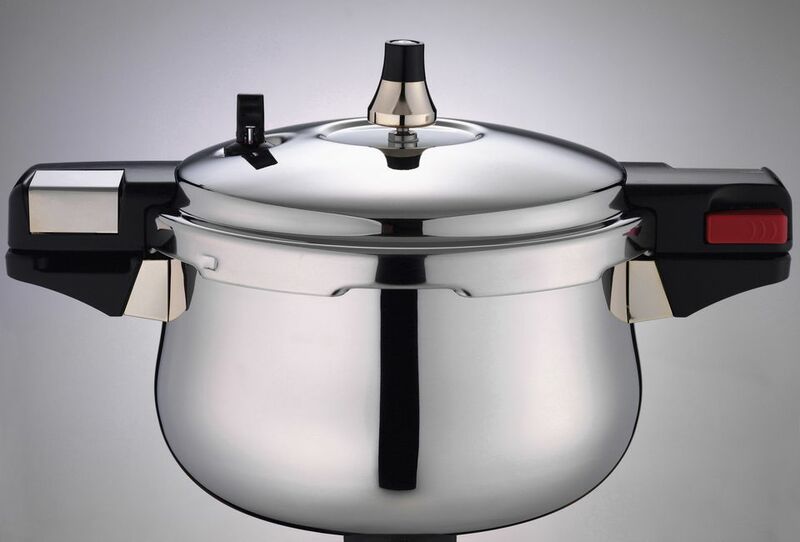 A pressure cooker is sold in either a stove-top model or as an electric appliance and is used to cook foods under pressure in a fraction of the time needed to cook with a regular pot, oven roaster or cooker. Pressure cookers can be used to cook many different types of meat, pasta sauces and other types of foods. Because it cooks under pressure, it has a valve in the locking lid, to help regulate the amount of pressure that remains in the pot during the cooking process. While a pressure canner can also be used for cooking these various foods, it is usually much larger and is designed to be used for home canning of foods. When the canner is fitted with a pressure valve the same as the smaller cooker, it can be used only for canning specific high acid foods. A pressure gauge must be present with the valve on the canner, in order to use it for canning low acid foods, meats, and fish. The pressure gauge must be monitored during the canning process and the heat adjusted in order to maintain the recommended pressure level for a specific period of time, to safely cook and can certain foods. If you are looking for an implement to cook under pressure tough cuts of meat or just to shorten the cooking time, you should get a pressure cooker - either stove-top or electric. If your intent is to can and preserve your garden harvest or other foods, buy a pressure cooker/canner and ensure that it has a pressure gauge, not just a pressure valve if you want to safely process low acid foods, meats or fish. If you like the idea of pressure cooking and canning, you can have the best of both worlds by buying a pressure cooker/canner (with pressure gauge) and using it for canning, as well as to pressure cook your meals. As mentioned above, pressure canners are very large and heavy to handle, and bulky to store. Though one piece of cookware sounds like a good idea, you might find it inconvenient to take out such as large implement for a 4 lb roast. Because we like to can and pressure cook, we have both models and that's something you may want to consider.